2018 Porsche 911 Carrera S, with only 5,948 miles! Loaded with options including: 7 Speed Porsche Doppelkupplung Transmission (PDK), Auto dimming mirrors, heated seats, Color accented center caps with Porsche Crest, Porsche Entry and Drive (keyless entry and start) Electric Slide and tilt sunroof, Bose Surround Sound System, Interior Carbon Fiber Trim, Sport Seats, Sport Package, Satin Black wheels and factory tinted rear tail lamps. Car is absolutely mint inside and out! One owner and an original MSRP of $131,150. 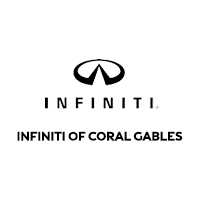 At INFINITI of Coral Gables, we provide our customers with "Worry Free Price". Helpful, Accurate, Transparent, Simple & Straightforward We study the local dealerships as well as the online databases, Kelley Blue Book, Autotrader, and similar platforms – to come up with an ideal and transparent price for our customers to experience a haggle free buying experience. We sell and service all makes and models of Pre-Owned Vehicles. 2018 Porsche 911 GT3 TOURING!!! Clean CARFAX. CARFAX One-Owner. 23.7 Gal-Fuel Tank, Automatically Extending Rear Spoiler, Door Panel Arm Rest in Leather, Fire Extinguisher, Front Axle Lift System, Interior Trim Package in Black Brushed Aluminum, Porsche Torque Vectoring, Rear Lid w/PORSCHE in High Gloss Silver, Shift Lever in Leather, Smoking Package, Sport Chrono Package, Steering Wheel in Leather, Tailpipes in High Gloss Silver, Touring Package, Wheels Painted in Satin Black. At INFINITI of Coral Gables, we provide our customers with "Worry Free Price". Helpful, Accurate, Transparent, Simple & Straightforward We study the local dealerships as well as the online databases, Kelley Blue Book, Autotrader, and similar platforms – to come up with an ideal and transparent price for our customers to experience a haggle free buying experience. We sell and service all makes and models of Pre-Owned Vehicles.